Longo’s engaged Litcom Information Services to review its Information Technology function. Litcom met with our senior business team, our internal IT team and some external IT vendors to gain a comprehensive picture of Longo’s status. Litcom provided an enlightening executive presentation outlining our areas of strength and development as well as recommended next steps. This presentation was crucial in helping steer the IT organization in a new direction from both an application systems and leadership perspective. 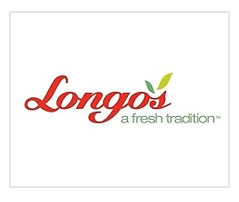 Longo Brothers Fruit Markets Inc. (Longo’s), is a family owned business established in 1956 when the store was first located on Yonge Street and Castlefield, in Toronto. The first location was no more than 2,000 square feet and eight family members comprised the staff. To this day, fifteen stores later, members of the Longo family still go to the Ontario Food Terminal six days a week to purchase the produce offered in stores. To bring the Longo’s experience to the doorsteps of customers across the Greater Toronto Area, Longo’s also owns and operates Grocery Gateway, a leading online grocery retailer www.grocerygateway.com.